Nina’s motto is “Carpe Diem” and she definitely lives by it, just ask her what her everyday schedule looks like: from doing presentations across Bulgaria for a global anti-human trafficking NGO, to giving private English lessons, to attending an art and/or cultural event she can always find a way to make it work. Nina’s motto is “Carpe Diem” and she definitely lives by it, just ask her what her everyday schedule looks like: from doing presentations across Bulgaria for a global anti-human trafficking NGO, to giving private English lessons, to attending an art and/or cultural event, or mingling at a startup event, to meeting friends for dinner at a local hip restaurant, or having a weekend getaway, she can always find a way to make it work. Living life to the max, is a must for her! Also, if you are a foodie, she will let you know where to go in Sofia. Although she is a local, be forewarned, she has spent many years in America, so don’t be surprised by her slight American accent. Some of her favorite things to do are traveling and meeting new and interesting people from all over the world, hence she loves, being a FST guide! Stanislav is first of all a huge optimist. Already a graduated actor, he is in a pursuit of his career both in theatre and cinema. A passionate traveller and hitchhiker himself, interested in history and reason, admirer of good literature and cinema. Stanislav is first of all a huge optimist. Already a graduated actor, he is in a pursuit of his career both in theatre and cinema. A passionate traveller and hitchhiker himself, interested in history and reason, admirer of good literature and cinema. He used to live in the streets, gaining the unofficial nickname “Mayor of the City Garden”, due to his constant presence there. A „night-bird“ who rarely spends the evenings at home. Stanislav is familiar not only with the centre of Sofia but also with the shady suburbs of Bulgaria’s capital. He was born here, raised simultaneously in Sofia and Pernik (a town near Sofia), he has more than one perspective to the city. His main desire is to tell you all about it with an enormous enthusiasm, love and his ever-standing sincere Smile. Mitko was born in the love of his life - the city of Sofia which never stops surprising, exciting and meeting him with new people from all over the world. Most of his life he spent here before moving to London, where he studied and worked for four years. Mitko was born in the love of his life – the city of Sofia which never stops surprising, exciting and meeting him with new people from all over the world. Most of his life he spent here before moving to London, where he studied and worked for four years. Once a citizen of the world, Mitko couldn’t stop traveling and visiting more than 25 different countries. He spent seven months working at the Institute for Cultural Diplomacy in Berlin and one more year doing a Master’s Degree in International Relations at the London School of Economics. After this, Mitko returned to Sofia to become a Bulgarian Youth Delegate to the United Nations. His working visits to New York and South Korea convinced him that it is more worth it to be an ambassador in Sofia, so that all its guests experience the same excitement, joy and love to the city. 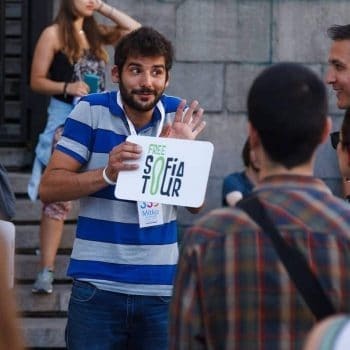 Becoming part of the team of Free Sofia Tour is one of Mitko’s happiest lifetime moments. Except for traveling, in his free time he enjoys skiing, singing, playing volleyball and kayaking. Denica is a free spirit by nature. She loves music, travelling, painting, jogging and dreaming about her new adventures until she finally makes them a reality. She loves the outdoors, the unsettling excitement before a trip, the sight of the vast unspoiled, exotic landscapes, the taste of freedom; and craves the childlike curiosity that is part of the start of every journey to an unknown place. She has been travelling and living in Sofia on and off for the last 10 years and she looks at the city as her anchor, her home – the place where one can slow down the pace and still save and nurture the spirit of discovery, freedom and adventure, awaiting at every corner of the multi- faced downtown street maze towered by inviting mountainous surroundings. She firmly believes in the Free Sofia Tour cause and loves being part of this great idea! This is the friendliest, most informative and most fun way of discovering Sofia and mingling with people from all four corners of the world! Tommy was born and raised in Sofia until the age of 17, when he moved to live in Belgium for a few years. Then he studied in the Netherlands and eventually in Munich, before moving back to Sofia to start a job in teaching. Tommy was born and raised in Sofia until the age of 17, when he moved to live in Belgium for a few years. Then he studied in the Netherlands and eventually in Munich, before moving back to Sofia to start a job in teaching. As a tour guide, he tries to show the same passion in his storytelling as he does in the classroom and believes that learning should be connected to some kind of an unique experience. Tommy is also interested in photography and movies and works for the Free Sofia Tour team in different projects. Dimitar grew up in Sofia. He was 11 when the Berlin Wall fell down and he has a lot of personal stories from the Cold War times to share. In 2004 he went to Paris where he spent 10 years learning and working in theatre and cinema. Dimitar grew up in Sofia. He was 11 when the Berlin Wall fell down and he has a lot of personal stories from the Cold War times to share. In 2004 he went to Paris where he spent 10 years learning and working in theatre and cinema. He came back to Sofia in 2015 and joined Free Sofia Tour team in 2016. Dimitar is a keen traveller and adventurer and he has been to 51 countries so far. He loves foreign people visiting Sofia and he is very happy to share his knowledge about the city and the country. Svetla was born and raised in Sofia. She has a bachelor’s degree in acting from the National Academy of Theatre and Film Arts. Anina was born and raised in Sofia. She studied Spanish and Portuguese and got a Bachelor’s degree in International Relations. 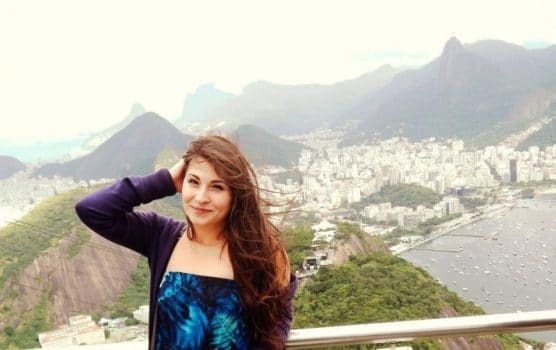 She is in love with Latin America and her true passion is volunteering. Born, raised and lived all her life in Sofia. Named after Louis Carol’s “Alice in wonderland” she keeps searching for wonders wherever she goes and whatever she is doing. Actress, dancer and restless traveller. Vyara likes to present herself as an explorer of new places and people. She is not originally from Sofia but has been living here for the past 8 years which gave her the opportunity to discover the city’s many diverse sides. Vyara likes to present herself as an explorer of new places and people. She is not originally from Sofia but has been living here for the past 8 years which gave her the opportunity to discover the city’s many diverse sides. Besides a tour guide, Vyara is also an architect and would love to give you an insider’s glimpse to Sofia’s landmark buildings. 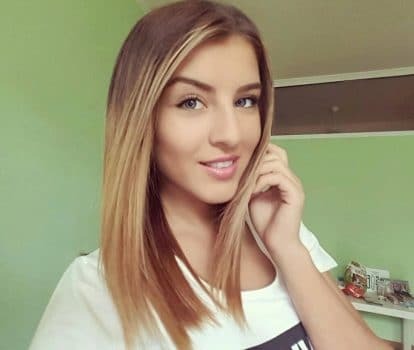 She likes art, dancing and the nature and is always ready to recommend a nice hiking tour in some of Bulgaria’s mountains. 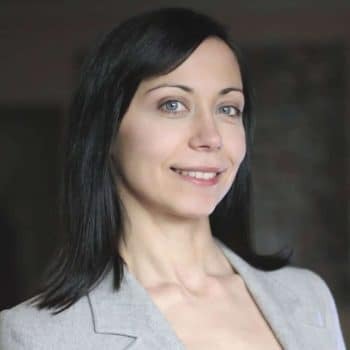 Kathy’s career as a tour guide began in 2014 with Free Plovdiv tour at her hometown Plovdiv, but eventually she had to move to Sofia to study law at the Sofia University. 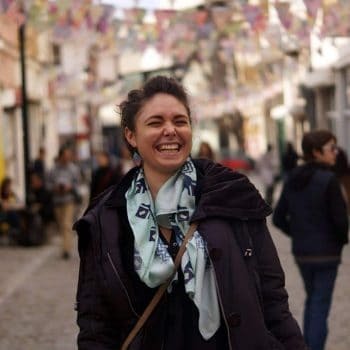 Kathy’s career as a tour guide began in 2014 with Free Plovdiv tour at her hometown Plovdiv, but eventually she had to move to Sofia to study law at the Sofia University. 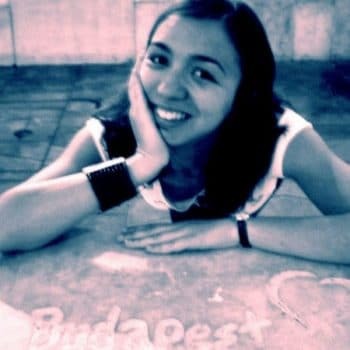 This gave her the perfect opportunity not to give up on her passionate hobby, but to expand it in Free Sofia tour. She spends her time travelling from Plovdiv to Sofia almost every day, trying to make every tour a one of a kind experience both for the tourists and herself. Was born in Sofia and is currently living in the suburbs of the city. She is happy, energetic and always ready for new adventures and friendships. She has a degree in political science from Sofia University and a master degree from Maastricht University in the Netherlands. Was born in Sofia and is currently living in the suburbs of the city. She is happy, energetic and always ready for new adventures and friendships. 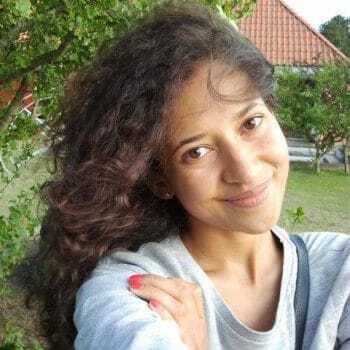 She has a degree in political science from Sofia University and a master degree from Maastricht University in the Netherlands. She has been living in 4 different countries in the past 5 years Her greatest passion is travelling, learning new languages, dancing salsa and being involved in different causes. 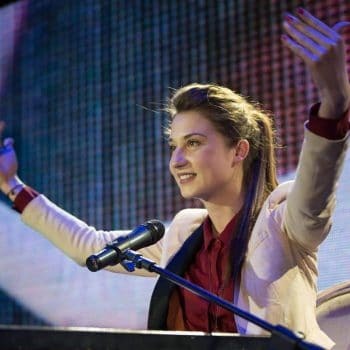 She believes in the bright future of the non-governmental sector in Bulgaria and wants to develop her potential in this direction. 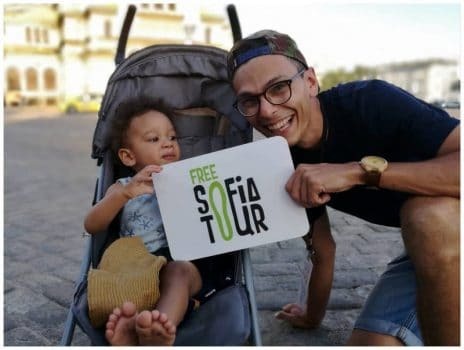 Free Sofia Tour is the best way to show how awesome, interesting and vibrant the city is. Being part of it gives great energy and chance to meet people from all over the world! Ani... Although she travels a lot, she never moved to live in another city. Sofia gives Ani everything she needs: ) Ani is a professional actress, she performs on the theater stages of Sofia and Bulgaria. Ani… Although she travels a lot, she never moved to live in another city. Sofia gives Ani everything she needs: ) Ani is a professional actress, she performs on the theater stages of Sofia and Bulgaria. She also has the gift to get along with kids so she is working as well as a teacher of everything that she knows: acting, singing, English, snowboarding, windsurfing​… For her the Free Sofia Tour is both a performance and a chance to meet new people and learn more about the cultures of all the nations in the world! Dino was born and grew up in Sofia, a fact that doesn't prevent him from rediscovering the beauty of the Bulgarian capital every day. Theatre and cinema are his passion: he graduated as an actor from the National Academy of Theatre and Film Arts and currently performs on the capital stages. Dino was born and grew up in Sofia, a fact that doesn’t prevent him from rediscovering the beauty of the Bulgarian capital every day. Theatre and cinema are his passion: he graduated as an actor from the National Academy of Theatre and Film Arts and currently performs on the capital stages. In addition to history, music holds a special place in his heart. He has produced several tracks and considers a day lost if he hasn’t played his piano or trumpet. Although she is half Latin American, Alex feels a 100% Bulgarian. 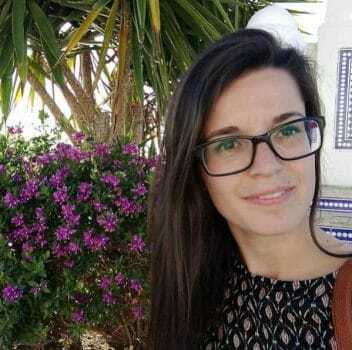 At present she is doing her Master’s thesis in Business Administration and Marketing. She loves singing, dancing, acting and she is a part of the new Sofia Gospel Choir. Although she is half Latin American, Alex feels a 100% Bulgarian. At present she is doing her Master’s thesis in Business Administration and Marketing. She loves singing, dancing, acting and she is a part of the new Sofia Gospel Choir. Alex enjoys traveling and meeting new people and she is always ready to discover new things and places. She believes that apart from the popular tourist destinations in Sofia and Bulgaria, there are also a lot of “hidden beauties” waiting to be found. Alex was actually born and raised in a small town in South-West Bulgaria, surrounded by mountains and forests. When she moved to Sofia to study forestry at the university, she first thought that this city was too dynamic and noisy for her taste. But as soon as she dived into the capital’s rhythm and lifestyle, she started discovering the beauty and magic of Sofia and now she thinks of it as her second home. Dessi was born in Sofia and has been living here all her life. After a series of trips around Europe Dessi started loving her hometown even more – not because Europe is not charming, but because it helped appreciate the less obvious beauty of Bulgaria’s capital city. Dessi was born in Sofia and has been living here all her life. After a series of trips around Europe Dessi started loving her hometown even more – not because Europe is not charming, but because it helped appreciate the less obvious beauty of Bulgaria’s capital city. Dessi studied at the French language high school in Sofia and is very into Italian language as well. Languages are kind of a passion for her, as she has also studied Spanish and recently decided to get to know the Russian language. Apart from languages, Dessi studies International Economic Relations and is soon to become a bachelor in economics. 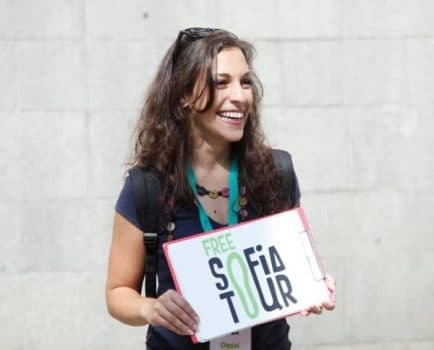 She has been a participant in various projects of the 365 Association since 2013, but in 2014 made a dream come true – to become a Free Sofia Tour guide and to be able to share her passion for Sofia and Bulgaria with guests from all over the world. Her few days of spare time are usually dedicated to horse riding, hiking and enjoying the beauty of Bulgaria’s unspoiled seacoast areas. Vasil was born and raised in Sofia and simply loves this city. His lust for travel was kindled in school when he was taught the essence of tour guiding. School was also the birthplace of his passion for languages: he speaks English, Spanish and Portuguese, but is also interested in learning Russian, French and Swedish. Vasil was born and raised in Sofia and simply loves this city. His lust for travel was kindled in school when he was taught the essence of tour guiding. School was also the birthplace of his passion for languages: he speaks English, Spanish and Portuguese, but is also interested in learning Russian, French and Swedish. He enjoys cooking, creating, all good music and stuff, but most of all he likes movies. 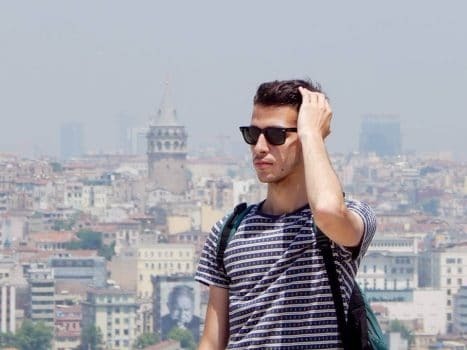 He is currently a fourth-year student in an international tourism program of NHTV Breda and IBS together with Nora, another Free Sofia Tour guide. He also had the chance to work as a tour guide in Portugal and Spain and all this is an inspiration for him to make Bulgaria an attractive place and show it to the world. 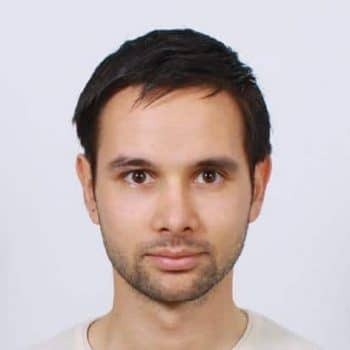 Slavyan was born in Sofia and firmly believes that he will stay there, although he loves exploring new places and has travelled around Europe, USA and the Middle East and really hopes to visit more places like Asia and New Zealand soon. 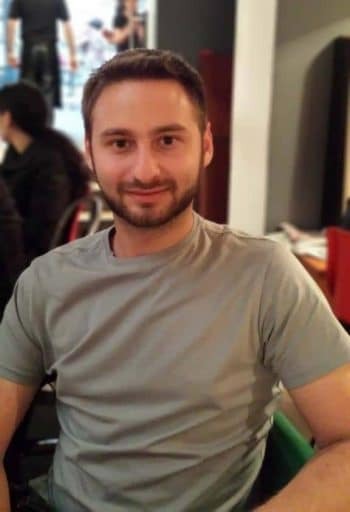 Slavyan was born in Sofia and firmly believes that he will stay there, although he loves exploring new places and has travelled around Europe, USA and the Middle East and really hopes to visit more places like Asia and New Zealand soon. 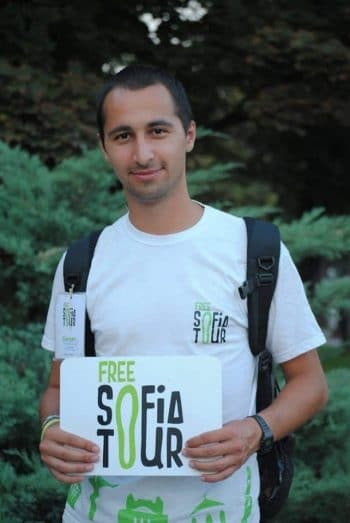 He studied Business Administration at the New Bulgarian University, but likes to think of himself as a multifunctional person with a wide variety of passions: he has practiced sports and dancing for years, loves new technology, and aspires to become an entrepreneur by initiating new businesses that might help the development of Sofia. He also loves communicating with people and organizes children camps during the summer. All of that made him realize one never knows when exactly they will meet a person that just might change their life for the better, so he just can’t wait to meet you on his next tour and show you around the magnificent city of Sofia. Currently is a third year in an international program of NHTV Breda University and IBS Sofia. Studying tourism, Nora hopes one day to become a professional tour guide. She is truly passionate about traveling, meeting new people and exploring new cultures. Currently is a third year in an international program of NHTV Breda University and IBS Sofia. Studying tourism, Nora hopes one day to become a professional tour guide. She is truly passionate about traveling, meeting new people and exploring new cultures. She believes that life is an adventure and you just have to take the best of it. Her favorite season is summer and she connects it with the fresh spirit and sunny emotions. For the past two years she enjoyed Spanish way of life. She practiced guiding in the magnificent city of Barcelona and since then she became totally lost into that job. Now, Free Sofia Tour has converted to her favorite hobby. Nikola was born in Sofia and has spent most of his life in the city. His biggest passion in life is music. For him it is more than just a hobby as it takes most of his free time and is something that he hopes to do for a living. Nikola was born in Sofia and has spent most of his life in the city. His biggest passion in life is music. For him it is more than just a hobby as it takes most of his free time and is something that he hopes to do for a living. 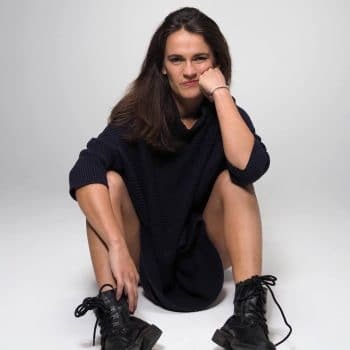 After graduating from a language high school in Sofia, Nikola went to study music in London. Apart from his love for the stage, Nikola also loves Sofia, history, meeting people from all over the world and exploring different cultures and luckily for him Free Sofia Tour combines all of this. Besides Bulgarian, he also speaks English, French and Russian. Martin was born and raised in the city of Sofia. He has a master degree in International Relations, but his true passion is history, which is also his bachelor degree. Firm believer that understanding our history impacts the way we model our future. Martin was born and raised in the city of Sofia. He has a master degree in International Relations, but his true passion is history, which is also his bachelor degree. Firm believer that understanding our history impacts the way we model our future. 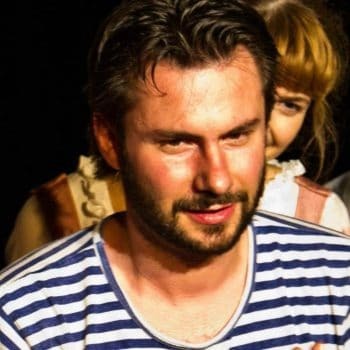 Martin is very positive and open-minded person, who wants to contribute to the development of the environment in Bulgaria and thatвЂ™s why he is committed to a couple of non-profit organizations. He believes that happiness is one of the most important values and takes part in initiatives that aim to bring smiles to peopleвЂ™s faces. Apart from that, Martin has a broad sphere of interests – architecture, infrastructure, urbanization, entrepreneurship, self-development etc. He believes that the city of Sofia can combine all of his interest вЂ“ the history of the city, the present situation, the future infrastructure and urban developments, the events on various topics that take place in the city etc. Enjoys talking to people on philosophical topics over a mug of beer. VIKI is studying law at the Sofia university. She really loves travelling and meeting new people. Her dream is to travel around the world, but in the end she will always want to come back home cause Sofia rocks:D and it will be a real pleasure for her to show you her city and try to make you fall in love with it as well. STEFAN was born in a 19th century house in downtown Sofia, spent most of his childhood in the ghetto, while still studying at the central part, so he has seen both sides of the city. He started learning English when he was four and ended up working as a freelance translator for several years. STEFAN was born in a 19th century house in downtown Sofia, spent most of his childhood in the ghetto, while still studying at the central part, so he has seen both sides of the city. He started learning English when he was four and ended up working as a freelance translator for several years. 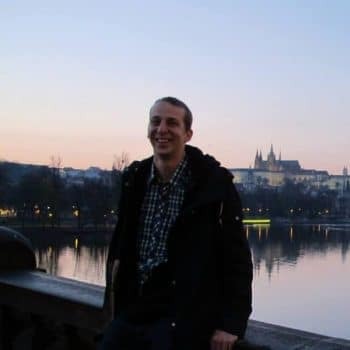 After graduating from the American College of Sofia, he spent a semester studying Public Administration in his hometown, then three semesters studying Political Science in Teaneck/Hackensack, New Jersey, USA, before returning to Sofia University and starting his education in Law. Apart from English, he has also studied French, Spanish and German and insists he will become fluent in at least two of those as well. In his spare time Stefan likes meeting old friends and new people, writing, traveling, the seaside, the mountains, skiing, swimming and football, but above all he loves history and sharing his thoughts, so he enjoys doing the tours as much as the tourists, if not more so. 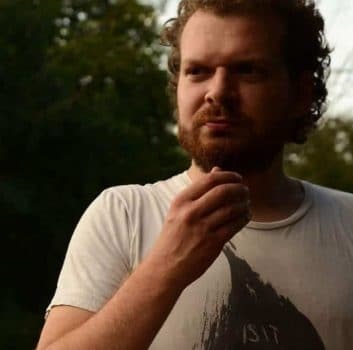 When asked about an opinion on whether Stefan will make a valuable contribution to the Free Sofia Tour, a reference once said: вЂњI bet my head on that. He is practically a reincarnation of one of those yellow paving stonesвЂ¦вЂќ What this means you will learn when you visit our tour! NIKETSA is a deep thinker and observer. His eyes -- wide angle lenses -- trying always to capture every single detail, even what`s behind the curtain or invisible. 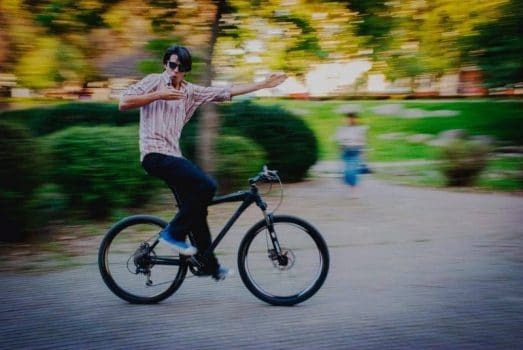 Nevertheless, don`t consider him to be the most serious guy, as he is fond of goofing and joking around all the time. Niki is a deep thinker and observer. His eyes – wide angle lenses – trying always to capture every single detail, even what`s behind the curtain or invisible. Nevertheless, don`t consider him to be the most serious guy, as he is fond of goofing and joking around all the time. Appreciates the people with great sense of humour. 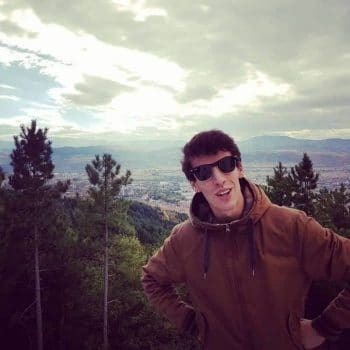 Considers himself proud inhabitant of the lands of the Rhodope Mountains, however Sofia has been his home for the past several years and heвЂ™s got nifty advices in order to make your time here even better. A music addict — dubstep & hip-hop banginвЂ™ through his earphones. Extremely passionate basketball player, if you dare to challenge him… you be stuck playing with him till he finally gets more wins & beats you. DANIEL was born and raised in the beating centre of Sofia. 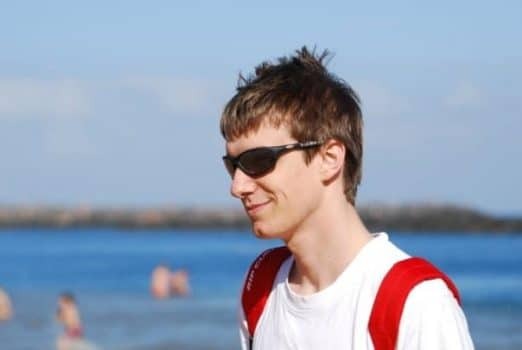 In March 2012 he came back from a student exchange programme Erasmus in Prague, where he visited a free tour and then started showing his friends all around the city.